On average we spend just under 3000 hours in bed each year, so it makes perfect sense that where we sleep each night is one of the comfiest spots on earth. It was supermodel Linda Evangelista who coined the phrase “I don’t get out of bed for less that $10,000 a day”. We’ll have one of the beds she has, please – it must be the dreamiest bed imaginable. If you’ve always wanted to know how show homes and hotels make their bedrooms look so positively irresistible, the truth is that the magic lies in the bedding and the how-to-dress-a-bed know-how. Perfectly crisp and inviting, ultra-plush and fabulously sophisticated – it’s a look that anyone would want to recreate at home and, thankfully, there are lots of tips and tricks to help you master the show bed look. 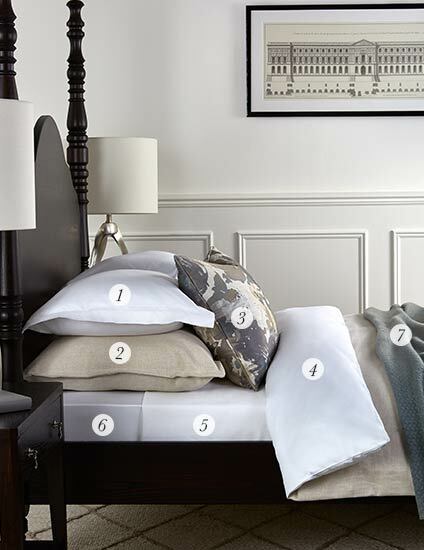 Follow this expert guide on how to dress a bed with style and comfort. “Invest in every layer of bedding to get it right – mattress, protectors, pillows and duvets,” interior designer Nicky Dobree tells us. And, whatever you do, she goes on to say, “don’t scrimp on your bedding. [Buy] the best quality linen and duvet that you can afford.” Remember, these basics are your bed’s wardrobe and for a truly luxurious experience you need couture-like clothes. To give yourself the best chance of a hotel-worthy night’s sleep, look for high-thread count linens which are usually softer than their lower thread count counterparts. Interior designer Natalia Miyar reveals “We choose high thread count linens. 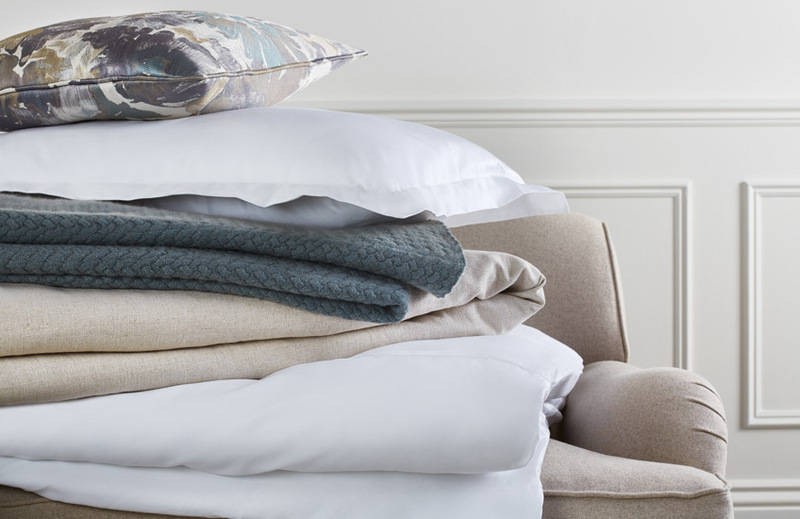 Fabrics and furnishings set the tone and theme of a room, and [they] need to enhance this luxury setting.” Not all 800 thread count sheets will be the same though – fibres and a brand’s reputation for quality are also important factors to bear in mind. A pillowcase with a loose flat hem (flange) around its perimeter. A 65cm x 65cm pillowcase usually propped up at the very back of a pillow arrangement. Varying in size, accent cushions are ideal for bringing colour and pattern to plain bedding and add interesting layers. A removable bed linen designed to protect duvets from being soiled. A plain sheet used between a covered mattress and duvet cover to save laundering bedding too often. Can also be used as a bottom sheet. 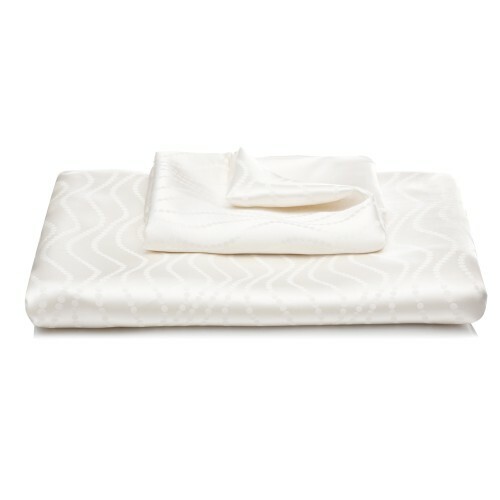 Specially sewn and shaped to the form of your mattress including elasticated corners. Opt for an extra deep version if using a mattress topper. Usually a knitted throw used for both decoration and extra warmth. Most commonly placed at the foot of the bed as a runner. Designed to fit between a bed frame and mattress to conceal the box spring base or frame. These can be decorative or made from the same fabric as a room’s curtains or the bed’s headboard. 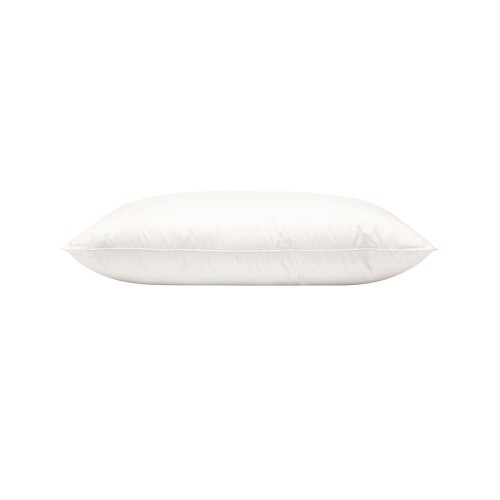 A standard 50cm x 75cm pillowcase in which the pillow fills the entire case. Often the preferred design for sleeping on. A 30cm x 45cm pillowcase which coordinates with the style of the rest of the bed linen and used for decoration. A padded and quilted bed cover used as a lighter alternative to a duvet. Similar in structure to a duvet and usually made using feather or down, a mattress topper gives a bed an extra comfortable finish. Designed to be placed between your mattress and fitted or flat sheet. 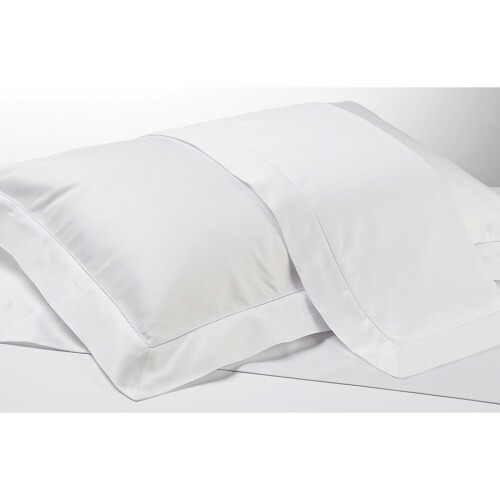 Many people enjoy the simplicity of plain, crisp white bedding (a look much loved by the hospitality industry). Subtle patterns can be introduced through weaving techniques and interesting stitching. 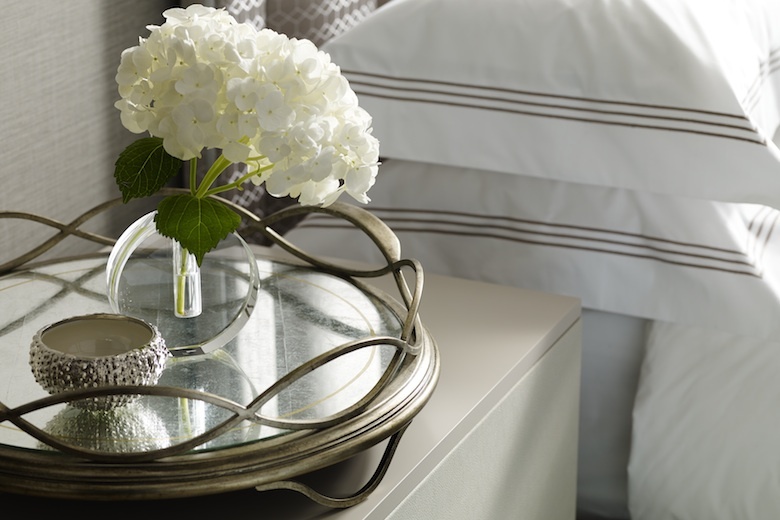 This is a great look for timeless elegance – a pure white bed will always look chic. For those wanting to create a bit of drama, bedding is a great way to introduce pattern and colour into a room. It’s not as permanent as wall colours or upholstery so it’s easy to change – season to season, year to year – giving your room a different look each time. Do as interior maestro Sophie Paterson does and start with a foundation of crisp whites. “If you want to inject some colour, pick a design that has a coloured border – this is a more sophisticated way of introducing colour than having a block colour or printed duvet set.” Then get creative. “Colour and texture can be brought in using throws and decorative scatter cushions,” Natalia says. Whether they’re appliquéd creations or clashing block colours, your crib will exude that oh-so-inviting appeal. If you plan to inject a bit of pattern into your space through bedding, one rule of thumb is to keep at least your sheets plain. Patterned sheets are great for children’s beds but not adults. An exception to this would be top sheets which sometimes have a hint of its coordinating bedding (through a motif or edging) included in the band which is folded down. Industry insiders know to think outside the box when choosing your bedding size. They will tell you that just because your bed is a certain size doesn’t mean you are obliged to buy bedding in that size. Nicky reminds us to think outside the box and go oversized – “Use four super-king pillows rather than the standard ones to avoid an unsightly gap in the middle”. 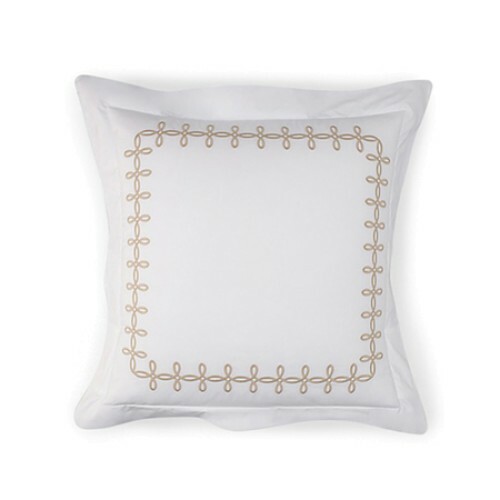 Once that’s covered, remember to fluff regularly to help the pillows retain their cloud-like plushness and keep your display ultra-luxe for years to come. Going up a size in a duvet cover also gives extra drape for that hotel look. Step 1. First things first, a well-made mattress will give you years of use, will improve the quality of your sleep and support your body as you sleep. Add a mattress topper for additional comfort. Step 2. Fit the bottom sheet, pulling as taut as possible. A fitted sheet can be used for ease but a flat sheet works equally well – just remember it needs to be tucked in with “hospital corners”. Step 3. Shake and fluff your duvet beforehand to eliminate lumpiness. Insert your duvet into its cover. Remember to take each of the duvet’s corners right into the corners of the duvet cover so that there are no floppy corners. Some like to use a top sheet as well as a duvet. This method is often used in hotels as it does save laundering the duvet cover so often. 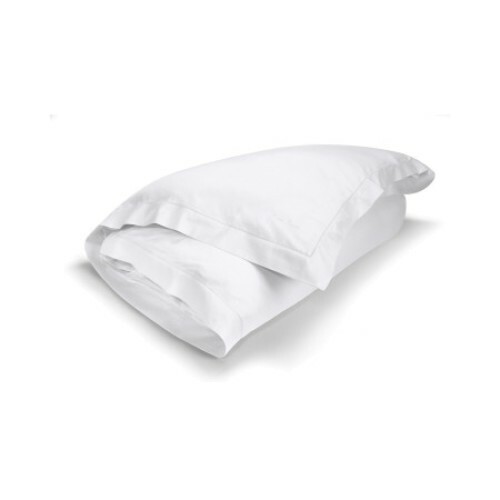 The combination of a thinner bedspread and sheets are used in hotter climates where a duvet might be too thick. Step 4. Next, pillows! Fill each pillowcase with the relevant pillow size. For a perfectly smooth and even fill, fold your pillow in half to get it into the sham and then fix each corner perfectly into the corners. 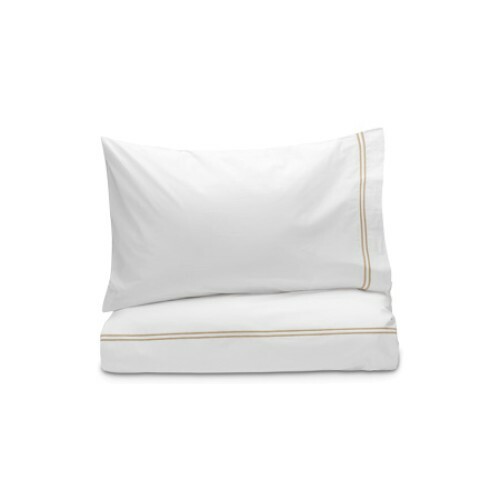 For Oxford pillows, starch the flange to make them stand upright – this is a trick used by hotels and department stores and gives your bed a professional look. Step 5. Add a bedspread or throw as a decorative feature and to add another warm layer. Fold from half way down the bed to allow part of the duvet cover to show. Your bedspread should coordinate appropriately with the rest of the bedding even if it’s not from the same range. Think about using different textures here too – “nubbly” or boucle wovens, jacquards, silk, or embroidery – depending on the look you want to achieve. Haven’t found the perfect bed yet? Read our comprehensive bed buying guide to help you distinguish a platform divan from a sprung-edge and a four-poster from a canopy.